Civilization befell humanity in spurts of luck and cleverness: managing fire, sharing food, affection communicated in the gift of a flower, speech, discovering that a bunch of ripe grapes left in the hollow of a boulder or grain soaked in water would convert into intoxicating alcohol, written language, and so on. If you flinched at seeing wine and beer make the list, ask yourself what trigger might have led to free-ranging fireside chats, feasting, artistic expression, romance, and other aspects of a thriving civilization, and inebriation jumps to the fore. Moreover, scholars have great reason to believe that Neolithic humans cultivated grains for beer before bread, based on archaeological finds in the Eastern Mediterranean, Mexico, and other places. So we’ve been drinking beer for 10,000 years or so, but did you realize that, in spite of its lowbrow reputation, beer is one of the most complex and difficult to make beverages of all? 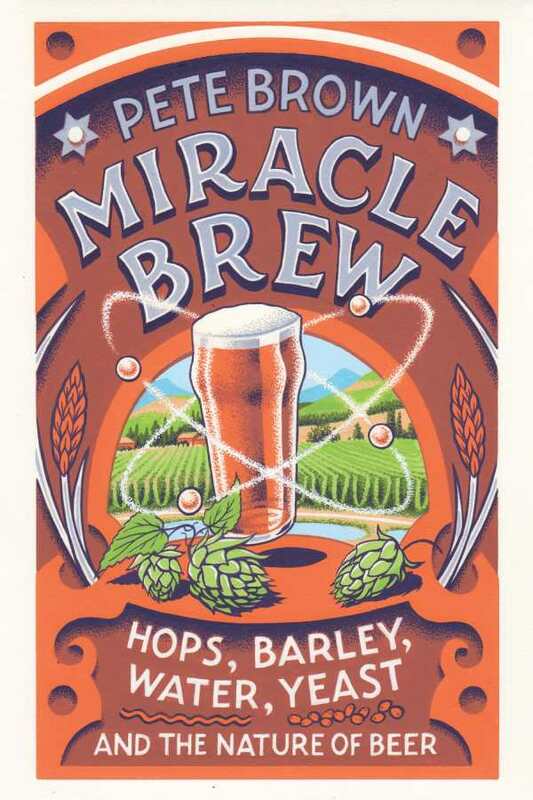 Pete Brown’s Miracle Brew: Hops, Barley, Water, Yeast and the Nature of Beer makes the case that beer is also beautiful, fascinating, and worthy of your full attention—even if you’re a wine drinker. Brown profiles each of beer’s ingredients and explains the precise, not-completely-understood role they play in brewing. An extraordinary storyteller, historian, and drinking companion, he may play a crucial role in establishing beer as the world’s greatest beverage.